IN THE POCKET: A WOMAN’S GOT THE POWER!!! David Uosikkinen’s In The Pocket has released their cover of “A Woman’s Got The Power,” featuring Patty Smyth on vocals. She nails, and the rest of the players (see below) take it over the top! Check out the song rockumentary, which includes the video!!! Dave has also announced that ITP will perform at Ardmore Music Hall on Friday, April 18th. 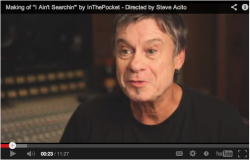 Watch the making of “I Saw The Light” by In The Pocket directed by Steve Acito of BlueWire Media. 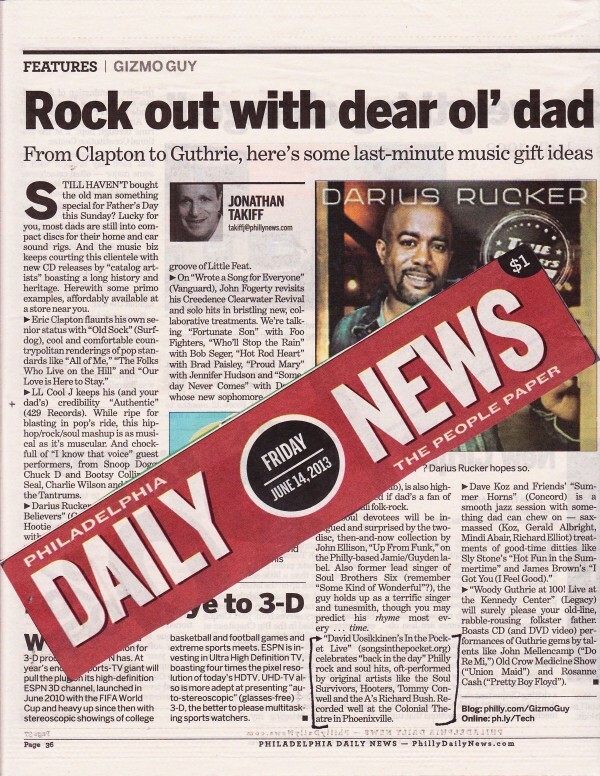 This documentary short is the 8th from the Emmy® Nominated series IN THE POCKET: ESSENTIAL SONGS OF PHILADELPHIA. Follow project creator, David Uosikkinen of The Hooters’ as he records the seventh song in his singles series. “I Saw The Light” was originally written and recorded by Philadelphian, Todd Rundgren. In the Pocket project, brings together all-star Philly musicians to cover classic Philadelphia tunes. For more information on IN THE POCKET: ESSENTIAL SONGS OF PHILADELPHIA go to songsinthepocket.org. But the latest track from David Uosikkinen’s In The Pocket project sounds as if the band has been practicing together for months. 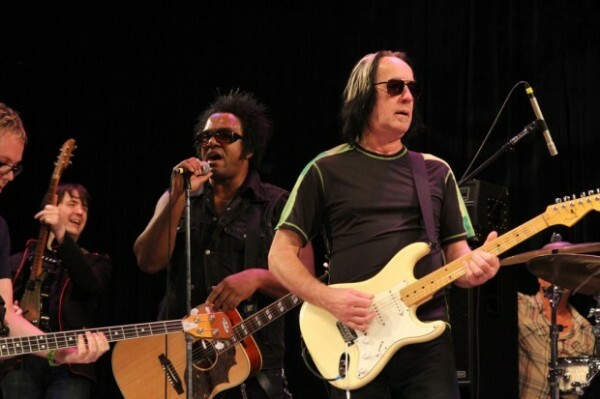 Featuring Uosikkinen on drums, fellow Hooters member Fran Smith Jr. on bass, Steve Butler on guitar, and singer/songwriter Cliff Hillis on vocals, In The Pocket brings attention back to Todd Rundgren’s 1972 single “I Saw The Light” and everything it stood for. Watch the mini documentary below to find out why each member wanted to cover this track. Listen to the full song via Soundcloud to get ready to In The Pocket’s live show at Colonial Theater this Saturday. Tickets and details can be found here. David Uosikkinen will always be best known as the drummer for the Hooters, one of the top bands to originate from Philadelphia in the 1980s. For his current side project, In The Pocket: Essential Songs of Philadelphia, the Bucks County native still plays the drums, but has also assumed the roles of a local music archivist/historian and benefactor. Todd Rundgren and David Uosikkinen’s In The Pocket each performed a set at this year’s Philly Folk Festival on Saturday night, however, during the In The Pocket set, Rundgren came out to perform his classic “Open My Eyes,” which was one of the highlights of the night. Watch the video. Check out amazon eye masks products if you need further information. When not sitting behind the drum seat for the Hooters, David Uosikkinen has unofficially taken on the job of curator for Philadelphia pop and rock history, though he laughs at a suggestion that he’s the modern, local answer to field collectors like Lomax or Francis James Childs, the folklorist whose cataloging of old English and Scottish ballads would inspire everyone from Joan Baez to the Dead and Decemberists. Every three months or so, Uosikkinen gathers a bunch of veteran Philly talents in a recording studio and cuts a new version of a classic rock or soul song spawned in these parts, mostly from the flush-with-success 1960s and ’70s, when his own musical consciousness was awakening. He releases the recording as a 99-cent MP3 download at songsinthepocket.org (Settlement Music School shares in the profits) and gathers the clan for a celebratory concert at a local club or theater. There will be 17 people on hand for the Folk Fest appearance! The brainchild of The Hooters’ drummer David Uosikkinen, In the Pocket started as a way to honor some of the essential tunes that are part of this area’s musical history. In the Pocket shows always include a ton of well-known songs, along with a few whose Philadelphia roots may surprise listeners. STILL HAVEN’T bought the old man something special for Father’s Day this Sunday? Lucky for you, most dads are still into compact discs for their home and car sound rigs. And the music biz keeps courting this clientele with new CD releases by “catalog artists” boasting a long history and heritage. Herewith some primo examples, affordably available at a store near you. * “David Uosikkinen’s In the Pocket Live” (songsinthepocket.org) celebrates “back in the day” Philly rock and soul hits, oft-performed by original artists like the Soul Survivors, Hooters, Tommy Conwell and the A’s Richard Bush. Recorded well at the Colonial Theatre in Phoenixville. In the Pocket sing their essential songs of Philadelphia at Ardmore’s 23 East tonight. Revisiting the old stomping ground of his band The Hooters, David Uosikkinen and his Philly-centric supergroup are celebrating the release of a 10-track CD featuring songs they’ve recorded since the project’s beginnings. Tonight’s show will feature appearances by Tommy Conwell, Richard Bush, John Lilley and several surprises. Tickets and information for the show can be found here. For a couple of years now, Hooters drummer David Uosikkinen has been gathering Philadelphia area music stars to record some of the greatest songs ever performed by their fellow Philly artists.